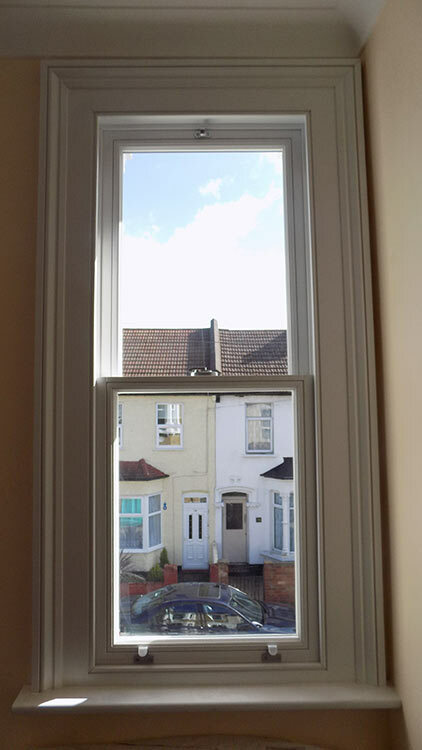 Sash timber window installation in Walthamstow, London. 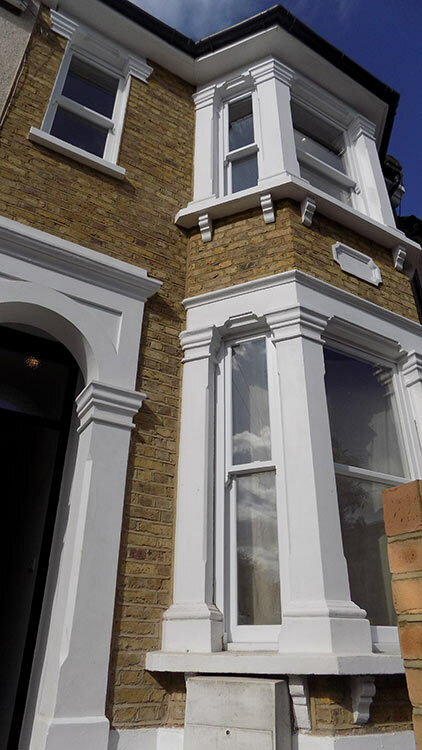 One of our recent installations was to restore the character of a property undergoing a complete refurbishment in the Walthamstow area in London. 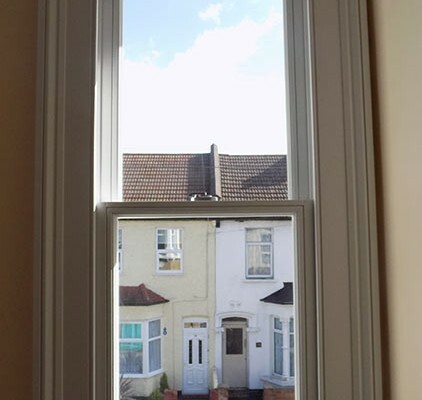 The style and level of refurbishment of the property warranted traditional sash style windows. The builder searched online for traditional timber style sash windows then arranged to meet our installations manager in the showroom to view our timber window range. 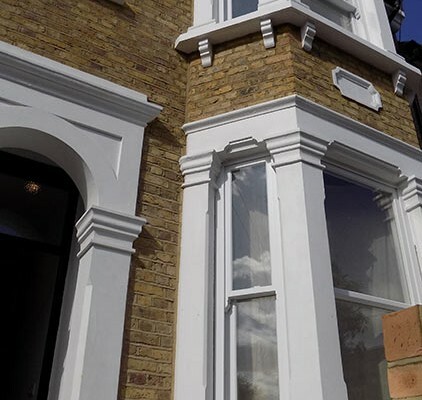 After approving the quality of finish and learning more from our staff about the process in which our timber sash windows are manufactured, the dimensions were given and a quotation was put into place. All of our timber products come with a ten year warranty. This warranty covers not only the installation and hardware, but also unlike many other timber suppliers such is the advanced quality of finish we also are able to offer a ten year warranty on the paint! 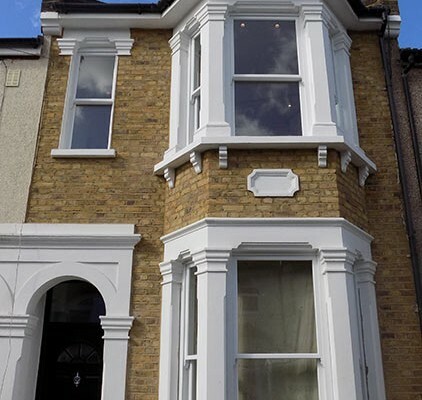 In total the order was agreed for seven hardwood timber sash windows all to be installed at the front of the property. The furniture choice was satin chrome and all internal architraves and trims were factory finished. The installation took place over three days where our installers worked at a pace to ensure the installation was carried out diligently and professionally. As you can see, the windows installed surpassed the client’s expectations. 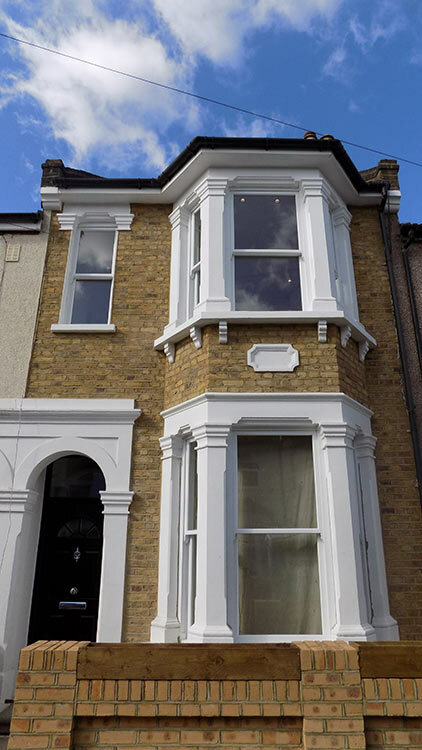 The photos show how spending a little more when choosing your new windows can help play a massive part in complementing the property and bringing back the original character.